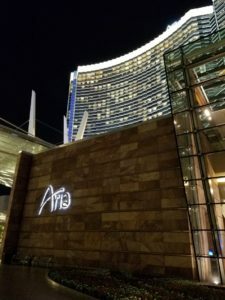 Last week Heraflux had the pleasure of presenting at this year’s IT/Dev Connections conference at the ARIA Resort in Las Vegas. David Klee presented two sessions entitled “Business Continuity for Virtual SQL Servers” and “SQL Server Infrastructure Performance” during the week. Thanks to all of the event attendees that came to our sessions! This is a great event, and if you have not considered IT/Dev Connections before, this conference is a must-visit. The variety of topics, from software development, data, professional development, and enterprise IT is quite unique and rewarding for organizations of all sizes. Connections is not small by any stretch of the imagination, but has sessions presented in a more intimate setting, rather than massive events such as Ignite, and you can spend time with the speakers, network with your peers, and do it all without feeling overwhelmed by the huge crowds. Thanks everyone! Save the date for next year. It’s going to be held at the Hilton Union Square in San Francisco, CA, from October 23-26, 2017.